D-Ramirez shares his insight on the importance of good monitoring and why he recently chose OS Acoustics DB7 Studio Monitors. How long have you been producing and which artists inspired you in your early career? I have been producing music now for around 35 years since I was 13 years old with my Roland SH101 and TR808 combo back in 1983. Coming from Sheffield I was heavily inspired by the pioneering electronic scene back in the late 70’s into the early 80’s. Bands like The Human League, Heaven 17, Cabaret Voltaire and ABC we all major influences for me and the main reason why I wanted to get into producing music for myself. I couldn’t wait to get my first synth back then, a Roland SH101 which I still have to this day. The SH-101 is such a classic. 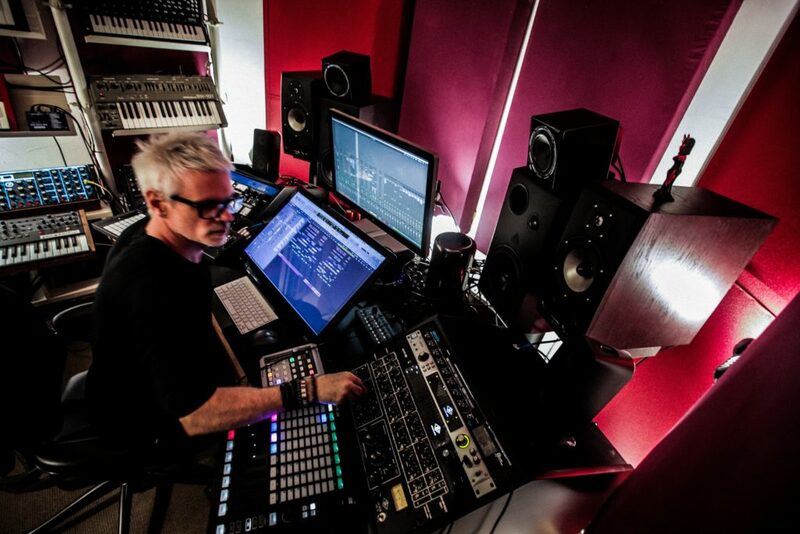 How important is it to have critical monitoring in your studio set-up to accompany your array of synths? Monitoring is the most important aspect of my production work, especially as I don’t work in a multi-million pound, acoustically designed room. I need monitoring which not only suits my somewhat compromised space, it also needs to go loud enough and carry the bottom end weight I need to be able to hear how my tracks will translate on a dance-floor. I need monitors which not only go loud but that I can monitor quietly and still be able to hear exactly what’s going on. What was your impression when you first heard the DB7’s? I was working with James Reynolds in his studio in Parsons Green who happened to have a pair of the DB7’s and I have to say, they blew me away! My first impression was how upfront and crystal clear they were, while still having the bottom end weight. After you tried them in your studio and quickly became an owner yourself, how have you found working with the speakers? Working with the speakers is an absolute joy – the stereo image is literally astounding, to the point where you feel you’re inside the music. For me, it’s all about the mid-range as I need to hear exactly what’s going on and this is where the DB7’s really shine. Surprisingly for a 6.5″ speaker, the bottom end is more than adequate, the DB7’s are fast and punchy and go deep enough for me to hear the lowest subs which is essential for the kind of music I make. Can you tell us a bit more about the settings you are using with the DB7’s? You mentioned how good you found the stereo image, this is exactly the area that is improved with the Linear Phase setting. I work with the speakers in Linear Phase mode, I find the stereo image opens right up and I’m able to place sounds perfectly in the stereo field. What is the best advice you can give to people just starting out as a producer on how they can improve their mixes? Learn your room – learn how the great, commercial tracks sound in your space – reference your favourite tracks until you start to build up a picture of how your room performs with your speakers – listen to your music on as many different systems as you can. Good advice, there are about half a dozen tracks we always use for testing our speakers that let you know where you are and it’s surprising how different they can sound on different systems and in different rooms. Finally, whats next for the D-Ramirez project? I am about to branch out into the mixing world working with the major labels (as well as independent artists) and I’ve also just got into mastering as I feel the two go hand in hand so to be able to offer both services makes total sense. I’m also the head tutor and course curator for the One to One Masterclass at the Toolroom Academy. That, alongside my releases with Toolroom, Crosstown Rebels, Viva and Slave all keep me the busiest I’ve ever been! Making the jump to mastering makes sense with your 35 years of producing experience. It’s nice to hear that you are giving something back with the One to One sessions too. Many thanks for taking the time out of your busy schedule to talk to us. 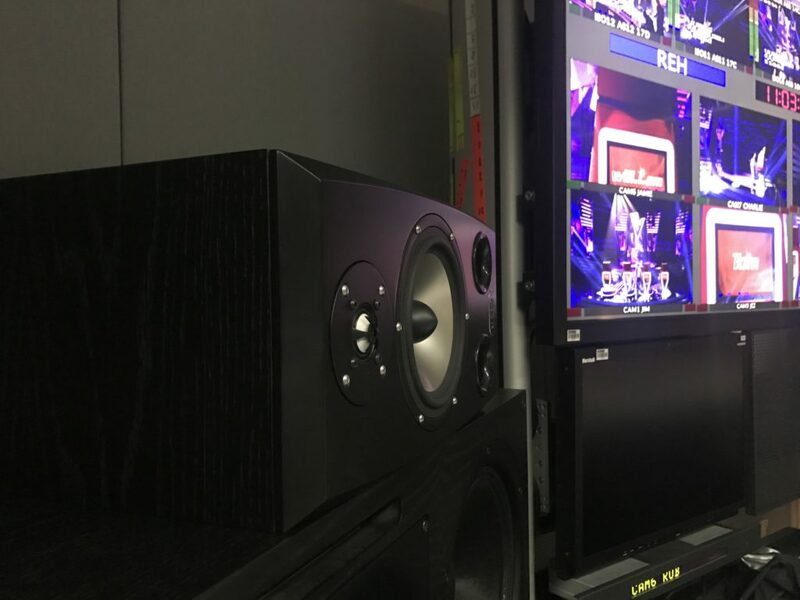 OS Acoustics DB7 Studio Monitors chosen by three-time BAFTA winner and Sound Supervisor Kevin Duff to record and mix ITVs The Voice 2018. “We were excited when we first heard about these new studio monitors. The first thing that struck me was the image and tonality, the DB7 is very un-fatiguing which when working 10-12 hour days is vital. Bottom-end drive and energy is tight and accurate and the top end detail is supported fully by a very smooth mid-range response. I loved them and they have not been switched off since. The show was recorded in October 2017 in the main control room at Dock 10 MediaCity.